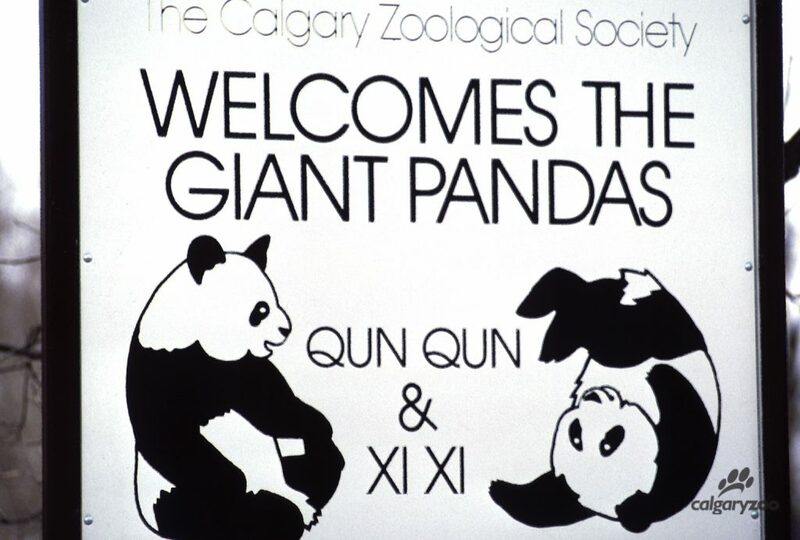 Why visit giant pandas at the Calgary Zoo? It’s going to be panda-moneum! 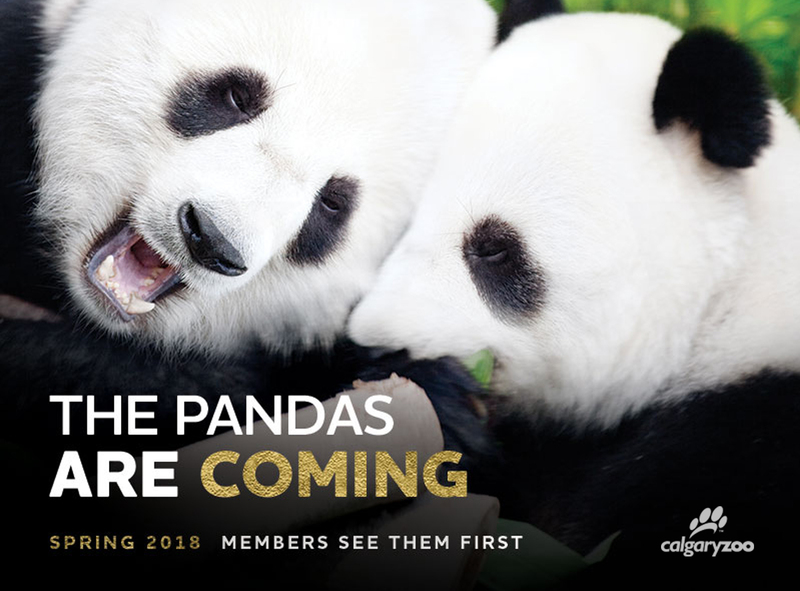 Arriving in May 2018, the Calgary Zoo is welcoming giant pandas for the first time in 30 years! For Albertans that recall the Calgary Winter Olympics of 1988, that event coincided with a cuddly seven-month visit of two giant pandas, on loan from China. The situation was nothing other than pandamonium- a thrilling time at the Calgary Zoo that was “Panda Magic”. For years giant pandas have captured the world’s collective imagination, with their distinctive markings, friendly faces and unique diet. As a global symbol for wildlife conservation, the struggle of the pandas native in China has become a survival story heard around the world. Did you know that these beautiful bears were officially downgraded on the International Union for Conservation of Nature (IUCN) Red List from Endangered to Vulnerable in 2017? After years of effort to save the species, the down-listing of giant pandas is considered a success of international collaboration and positive momentum in giant panda conservation efforts. So why are giant pandas returning to the Calgary Zoo? Because it is more than just giant pandas. By caring for this symbol of wildlife conservation, the zoo can help to educate its community on how they can save and protect other at-risk species here in Canada and around the world and continue to support panda conservation efforts. 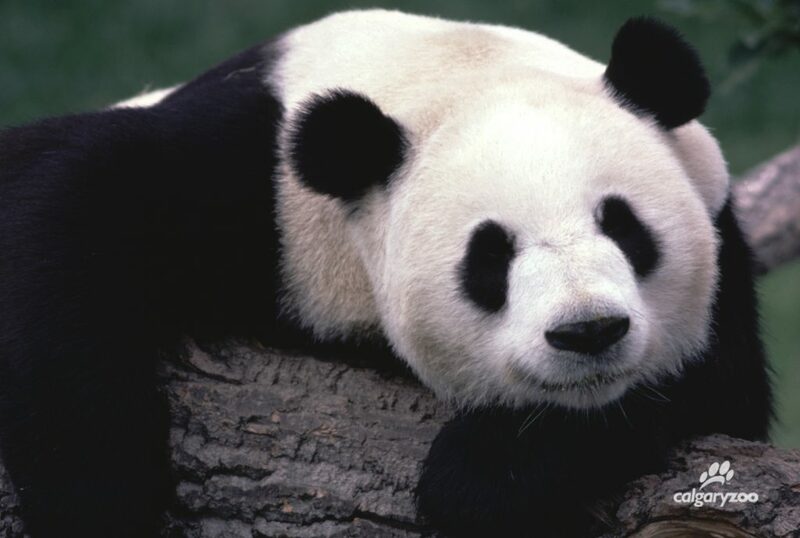 As an umbrella species, by protecting giant pandas, these conservation efforts not only protect this symbol of wildlife conservation, but also all of the species within their habitat and promote the unique biodiversity of this region. Get to know the Calgary Zoo’s giant panda family! 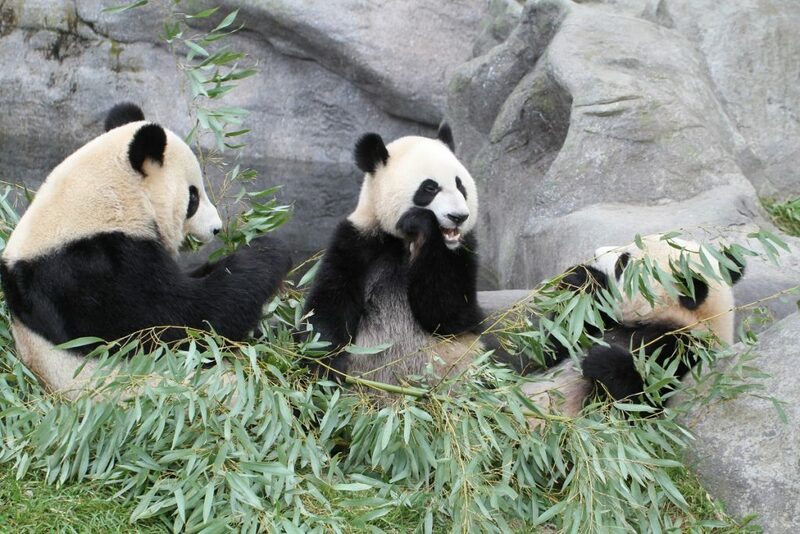 Er Shun (adult female), Da Mao (adult male), Jia Pan Pan and Jia Yue Yue (adorable twin cubs) are coming from the Toronto Zoo, where they’ve been visiting for the past five years. As China’s national animal, giant pandas are found at very few zoos outside of China – in fact these four are the only giant pandas in Canada! Pandas will stay at the Calgary Zoo for five years before returning home to China, so it’s time to make the most of this panda stay-cation. The pandas are coming! Members get to see them first. Visiting the Calgary Zoo will be a full panda experience, with the newly renovated Panda Passage building in the center of the zoo. This main habitat will also house the zoo’s Komodo dragons and Bactrian camels, and will feature incredible new educational programming, photo opportunities, and events – like having Breakfast with the Pandas! Get ready- the cute is coming. See the pandas before anyone else! Engage and Inspire zoo members get a home-court advantage with fun sneak peeks and member previews in April – which means panda visits before anyone else.